The Supreme Court has struck down a federal law that bans sports gambling, giving states the go-ahead to allow betting on football, basketball, baseball and other professional sporting events. Monday's 6-3 ruling overturned the Professional and Amateur Sports Protection Act, a 1992 law that barred state-authorized gambling on single sporting events in every state except Nevada. The law was challenged by New Jersey, which sought to provide new revenue streams to the ailing Atlantic City casino industry. Then-Gov. Chris Christie argued the ban violated the Tenth Amendment, which the Supreme Court has said prohibits federal laws that compel states to carry out federal dictates. Christie, citing estimates from the American Gambling Association, said that Americans spend $150 billion a year on illegal sports bets. "I know that we don't know much about organized crime coming from New Jersey. But we know a little bit. And the fact is that organized crime is involved in profiting from this every day," he said outside the court in December. In a statement Monday, current Gov. Phil Murphy said New Jersey has "long been the lead advocate in fighting this inherently unequal law." Justice Samuel Alito wrote for the court that "Congress can regulate sports gambling directly, but if it elects not to do so, each state is free to act on its own. Our job is to interpret the law Congress has enacted and decide whether it is consistent with the Constitution. PASPA is not." The National Football League, National Basketball Association, Major League Baseball, National Hockey League and the NCAA had asked to keep the law on the books, saying it could hurt the integrity of games. Outside court, however, leaders of all but the NFL have shown varying degrees of openness to legalized sports gambling. New Jersey wants to allow betting at Atlantic City casinos as well as race tracks around the Garden State. When arguing their case in January, state officials said they'd be ready to allow sports betting within two weeks of the court decision. The state has spent six years trying to get around the betting ban. 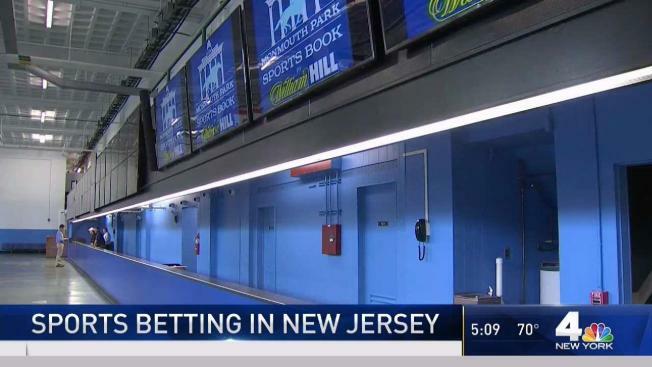 In 2012, New Jersey lawmakers first authorized sports betting, but hit a setback when the four professional sports teams challenged them in court. In 2014, New Jersey tried a different tactic by repealing laws prohibiting sports gambling at casinos and racetracks. It argued taking its laws off the books was different from authorizing sports gambling. The state lost again and then took the case to the Supreme Court. Several states have laws that would make sports betting legal if the Supreme Court struck the federal law down, or are prepared to act quickly to pass them: Connecticut, Delaware, Pennsylvania, Iowa, Mississippi, New York and West Virginia. Other states said they plan to consider sports betting including California, Illinois, Massachusetts and Maryland. One research firm estimated before the ruling that if the Supreme Court were to strike down the law, 32 states would likely offer sports betting within five years. Some sports wagering was grandfathered in under the now-defunct law in four states: Nevada, Montana, Oregon and Delaware. The law didn't prohibit wagers among friends or animal races like horse racing, which many states already allow. If you think you may have a gambling problem, you can call the National Council on Problem Gambling's help line at 1-800-522-4700.